Xtraice offers home ice rink kits. After having built the best leisure rinks, such as Disneyland Paris, and sport rinks, for top NHL teams, Xtraice goes beyond and provides home ice rinks as well. Do you want to install a skating rink in your yard? Or maybe you’re thinking about setting up a basement hockey rink? An Xtraice synthetic ice rink will give you the best skating and ice hockey experience in the comfort of your own home. 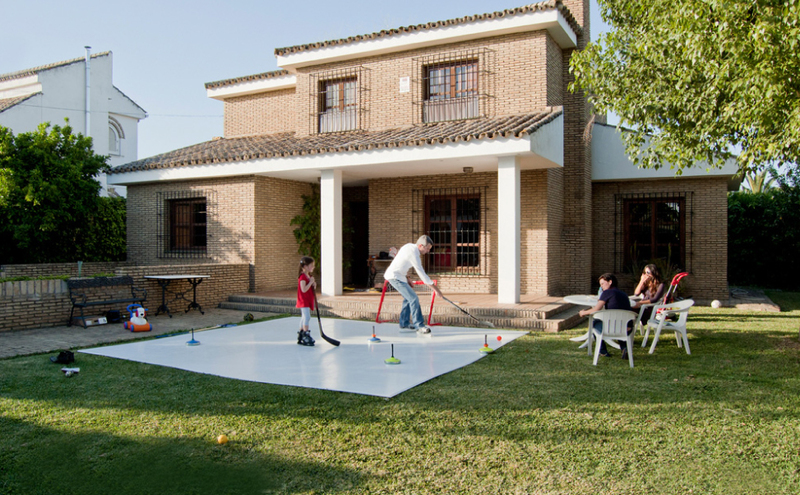 Our synthetic ice tiles are specially designed to adapt to the space you have available at home, whether it be indoors or outdoors. Additionally, they are 100% adaptable; they can always be expanded or moved to a different location. Now you can play and train throughout the year without having to travel anywhere, regardless of the weather conditions. Xtraice can be used at very warm temperatures and even in the rain or snow! How do I set up a home synthetic ice rink? Xtraice home ice rinks are built with Xtraice Lite panels, specific technology that allows for simpler, truly DIY installation! All you need is the installation kit we will send to your home and a few hours. Additionally, rink maintenance implies no additional cost since synthetic ice requires no energy or water. In light of the widespread popularity of our rinks among North American NHL teams and hockey players in the USA and Canada who train year round, we have created a home product that is specifically adapted to the technical requirements of hockey. The result is Xtraice Home. 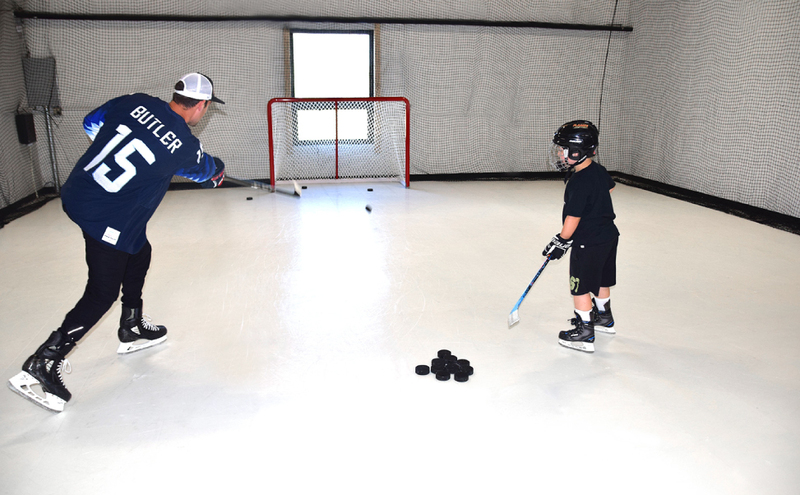 Xtraice Home is the first at home ice rink designed by and for hockey players and is the only synthetic ice for hockey training approved by USA Hockey. If you live in the USA or Canada and you want to practice hockey 24/7, 365 days a year from the comfort of your own home, this is the product for you. You can get yours directly from our online store at xtraicehome.com. GET YOUR XTRAICE SYNTHETIC ICE RINK NOW! One of our experts will personally advise you, answering all of your questions and guiding you every step of the way.